Do you want to install an electronic key management system on your property? Security is one of the most critical things that we need in our lives. For that reason, securing your life and property should be one of your top priorities in life. You should always pay utmost attention to the security of your property, whether it’s your business, home, or the safes and valuables in any of the aforementioned. At Great Lakes Security Hardware, we don’t advise property owners to use conventional locks. Thanks to the new technology, you can now install an electronic key management system, Roseville, Michigan in your business or home to add an extra layer of security to the things you treasure the most. 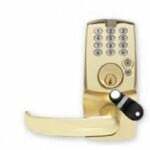 An electronic key management system will provide you excellent central control for supervising your keys. With an EKMS, you will lock your keys in a cabinet or safe, and no one can tamper with it unless he or she has immediate access to the PIN. Some EKMS locks have different forms of authorization. Installing this system means that you will avoid a significant theft risk to your company. Besides, there will be no more faults or loopholes like accessing a lock system or a property with a different key. Lack of an electronic key management system can lead to loss of property in several ways. 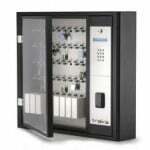 Why Choose An Electronic Key Management System? This is the top benefit of having an electronic key management system on your property. Manual key control system makes it difficult for you to verify if an employee is authorized to pick the key. Conversely, an electronic key management system grants access to authorized persons only. Therefore, you will rest assured that your valuables are secure. In addition, the authorized staff will only remove the authorized key. That means that they can’t remove a key, which they aren’t authorized. The system also sends you a notification in case a key is missing. With the electronic key management system, Roseville, Michigan, you can easily find out who picked a key and if he or she returned it or not. That helps to avoid confusion. 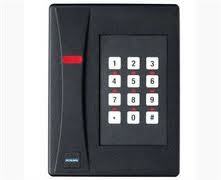 This system also ensures that an employee must enter their identity and an authorized password before picking any key. 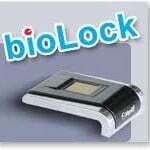 They can use a proximity card or the fingerprint as their identity, which the system will record. Therefore, you can easily find out who picked which key and if he or she returned it. The electronic key management system also helps to reduce the burden. The possibility of crimes such as theft or any other terrible crime will reduce significantly. You will not experience cases of unauthorized persons attempting to break into your property using a master key, which is a common option. Ultimately, there will be no chances of break-ins, and your business will be more secure. 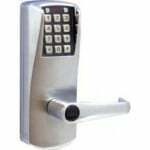 An electronic key management system, Roseville, Michigan has several benefits for businesses. An EKMS will provide your company with a stable system for managing your keys, especially those that access sensitive areas of your business. Since there’ll be reduced losses and the system controls access electronically, you will also save money and time. It’ll be much easier to monitor and manage your keys and know who’s responsible for a particular loss. Make key control a priority today if you want more control of your security. Look more into the benefits of an electronic key management system. If you want to learn more about the electronic key management system, and how your business can benefit from it, contact Great Lakes Security Hardware 20600 E 14 Mile Road, Roseville, Michigan for a free no-obligation consultation. Call us today at (888) 855-6257.